Now I consider myself to be pretty knowledgeable in the coffee and tea beverage area. I won't mention the name of the restaurant that I was a Training Manager at but I had to be quite saavy in the beverage department. I prepared gourmet coffee beverages, Italian sodas, and dessert beverages daily. After leaving this company I still have the taste for the same drinks (without of course the cost). Last year I was able to work with the brand Brooklyn Bean Roastery and I absolutely fell in love! Their coffee was amazing. Thankfully they agreed to work with me again and sent me over a box of their Vanilla Skyline this time around. We were obviously thrilled to have another opportunity to review such a great coffee brand and had to try it the moment it arrived. Unfortunately, this time around we felt this blend was a weaker and completely bland roast. While you could taste the vanilla, it was such a weak coffee and sweetness that I felt I was drinking a watered down coffee. We've actually been mixing this with a stronger blend to give it a good flavor in the end. While, I know this was meant to be a subtle flavor, I didn't enjoy it as much as the rest of the blends Brooklyn Beans has to offer. I definitely don't want to discourage any of my readers from this brand. Brooklyn Beans offers a massive variety of flavors, roasts, teas, and hot cocoa's. They currently are not Keurig 2.0 Compatible but will be by end of February! Recommendation: Seems expensive especially if you drink coffee like a fein however, its worth the cost if you enjoy savoring a cup just the way you like it. This is only $1 or 2 more expensive than the stuff you buy in the grocery store and of a better quality if you ask me. 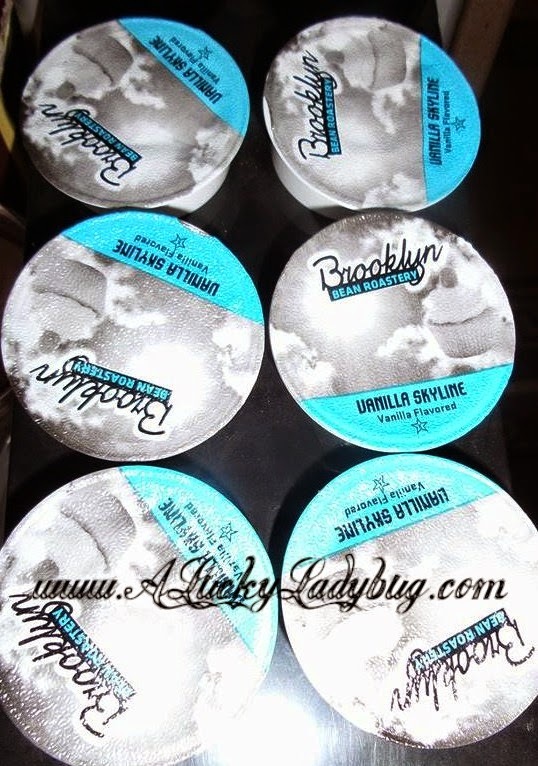 Giveaway: Brooklyn Bean Roastery is going to give one of A Lucky Ladybug's lucky readers the same Vanilla Skyline K-Cups to try of their own! 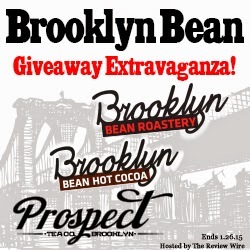 The Brooklyn Bean Roastery Event Bloggers are not responsible for shipment of the prizes. I was provided with product for this review. All views and opinions with regard to Brooklyn Bean Roastery or the company are my own and were not influenced by the company. I would love to try the Brooklyn Bridge Blend!! YUM! The French Roast looks like the best flavor. Maple sleigh because it sounds like the Green Mountain french toast that I really like. Do I have to just pick one? Oh Fudge sounds, of course anything chocolate. But, the Coney Island would probably be my choice. I love caramel or carmel coffee. I would love to try the "Oh Fudge!" variety! I would love to try the vanilla sky flavor! I like the boardwalk blend because it reminds me of the beach. I would love to try Maple Sleigh. I have a maple tea I really enjoy so I think I would like a maple coffee as well. I would like to try the cyclone dark roast coffee. I like the dark roasts the best. The Red Velvet and the Cinnamon Subway look really wonderful. I wish I had some now. I think they have a lot of wonderful flavors and I would have a hard time choosing between the Hazelnut, Oh Fudge! and Cinnamon Subway flavors.
. Its sounds lovely! Might be something the hubby wouldnt drink all of. Thanks for the amazing giveaway!! I think the hazelnut flavored coffee looks best because I have never tried any hazelnut coffee that I didn't like. I'm sure I would like this one as well. I want to try Oh Fudge because I love chocolate and coffee together. The cinnamon subway looks awesome! I'm a total cinnamon addict. Breakfast Blend is good...I like a mild roast. 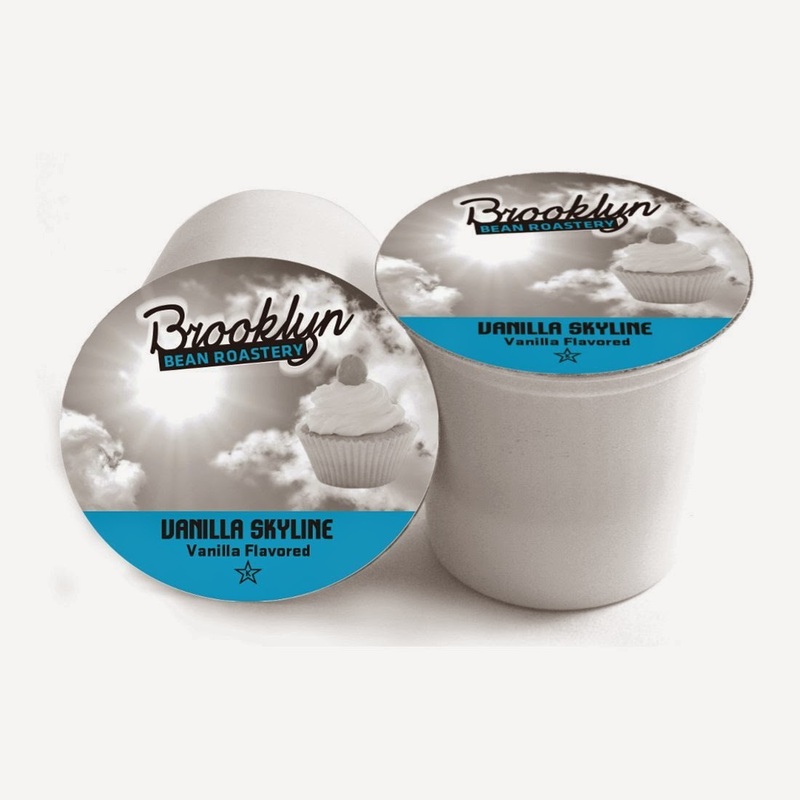 I like my coffee flavored and vanilla is my favorite, so I want to try Vanilla Skyline. I would like to try the Colombian coffee K-Cups because I enjoy a medium roast coffee. I'd like to try the Brooklyn Bridge Blend. It sounds interesting and I don't like my coffee too dark. The Cyclone Dark Roast flavor looks best to me because I like dark roast coffee's. I think my nephew would enjoy reading the Guinness World Records 2015 Gamer's Edition from the gift guide. I want to try the Mexican hot cocoa, sounds great! Colombian roast looks the best. I love this brand of coffee. True blood the complete series is my favorite item. I love that show. I love the look and feel of your blog. The French Roast looks good to me because I like to drink that kind in the morning a lot. Corner Donut Shop looks great to me. It looks like a great pick-me-up for an afternoon coffee. Oh Fudge sounds great. I love a hint of chocolate in my coffee. I would like to try the Carnival Salted Caramel Flavored Hot Cocoa k-cups. Chocolate and caramel sounds really delicious together. I like Coney Island Carmel because it looks the best! I love coffee with a cocoa mix dumped to give the coffee some umph so I want the Oh Fudge to try. I would love to try Cinnamon Subway. I love cinnamon. The peanut butter cup Kcups- Because I love that combination!! I think that cinnamon subway looks the best. I already add cinnamon occasionally to my coffee creamer. I'd like to try the Mexican Cocoa. The flavor that looks the best to me is Gingerbread Man because I love ginger! I can very honestly say that there is nothing that I dislike about your blog! I would like to see more giveaways and recipes. I think coney island caramel sounds delicious! My favorite flavor seems to be the Vanilla Skyline. Looks delicious. I wanna try Cinnamon Subway!!! I'm all about a dark, bold blend. Something to really wake up my senses. I think the Cyclone blend might do the trick! I would love to try the Coney Island Carmel, I love the taste of caramel in my coffee! I would like to try the Coney Island Carmel because I love all caramel coffee! I would like he Corner Donut Shoppe because Donut Shop coffees are are always smooth and extra yummy. I like your blog. It's colorful and inviting. I'd like to see more giveaways! Cocoamocha sounds awesome!!! they had me at coconut! Coney Island Caramel sounds like it would taste great. I would like to try the Breakfast Blend. i love light roasted coffees. I would love to try the Brooklyn Cheesecake because I love cheesecake and I would love to see how it tastes in a coffee sounds yummy!! I would love to try the Oh Fudge! Anything with a chocolate flavor has to be great. I can't wait to try the Brooklyn Bridge Blend! I love a Medium roast and this one sounds pretty tasty! Definitely would love to try Coney Island caramel!! I would like to try the Coney Island Caramel. It sounds sweet and delicious. Elizabeth miller---the milk chocolate looks amazing. I thin so because anything milk chocolate is a favorite, especially when it's melted and added in with some mini marshmallows. French Roast looks good. It is a robust coffee...strong yet smooth. It's not personal but I don't like all the green color and the large ladybug on your blog. The Platino Plus Slow Juicer & Sorbet would be a perfect gift for my wife to make healthy juices and sorbet. i want to try the corner donut shop because it is a medium roast and it sounds tasty. Coney Island Caramel sounds delish! I would love to try it. Visit Brooklyn Beans and tell me what flavor looks the best to you and why? I want to try the hazelnut coffee and the MIDNIGHT hot cocoa! The Cyclone coffee sounds delicious to me because I enjoy dark roast coffees. Peanut Butter most intrigues me! I want to try the Coney Island Carmel because caramel latte is my favorite coffee. I really really want to try the Midnight Hot Cocoa. I am a huge dark chocolate lover and think that this would be amazing. The Coney Island Carmel sounds amazing. I think I would love carmel coffee YUM. The Maple Sleigh sounds good because I love maple flavored anything.I think i would like the Vanilla Skyline as well because I don't like my coffee too strong. I prefer flavored coffees, so Brooklyn Cheesecake sounds good to me. Corner donut shop sounds good. I want the Midnight Hot Cocoa, because I love chocolate. I would love to try the Coney Island Carmel. I try to duplicate salted carmel coffee because I like it but I've never perfected it so I'm always trying versions of it Rene Chartier( Joan). OH FUDGE IS THE BEST, I WANT TO TRY THIS CUP. I want to try the Midnight Cocoa flavor! I am obsessed with chocolate! I would like to try, Cinnamon Subway. I hope that the flavor is not too sweet. I'd like the OhFudge or Hazelnut flavor. I don't normally drink plain coffee, I usually add a flavor shot with cream and sugar. i would love the Praline Dream because it seems like it would taste like candy! I would like to try the Red Velvet flavor.